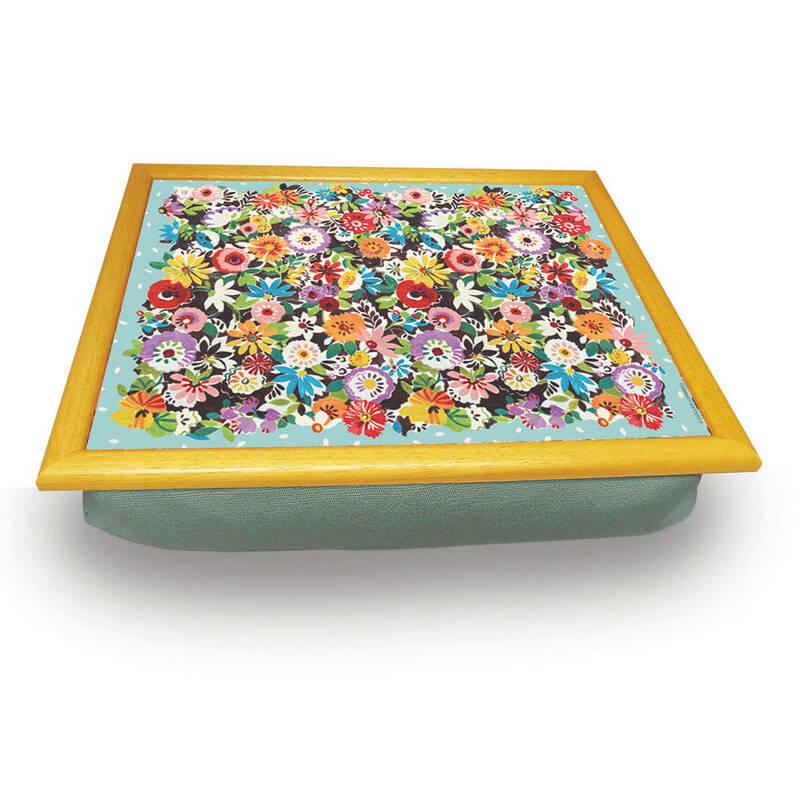 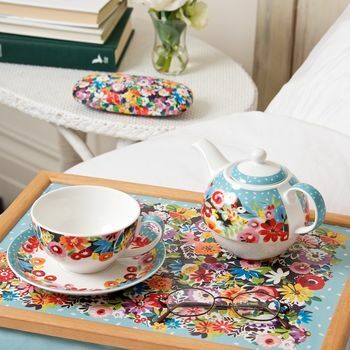 Floral design cushion tray to protect you from hot plates and drinks. 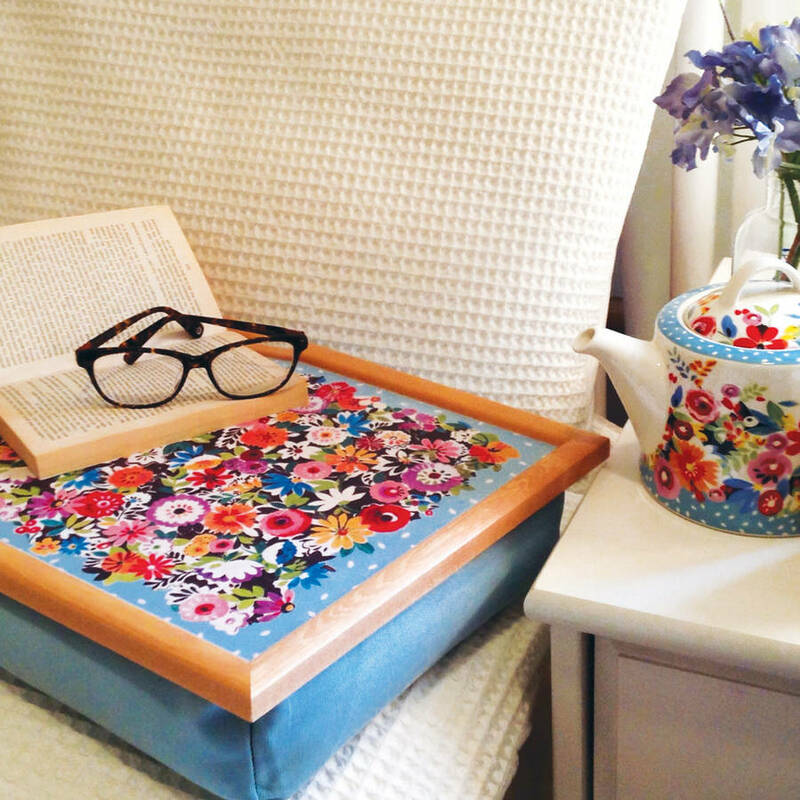 This lap tray is perfect for breakfast in bed, dinner in front of the TV, to use with your laptop or for sketching or crafts. 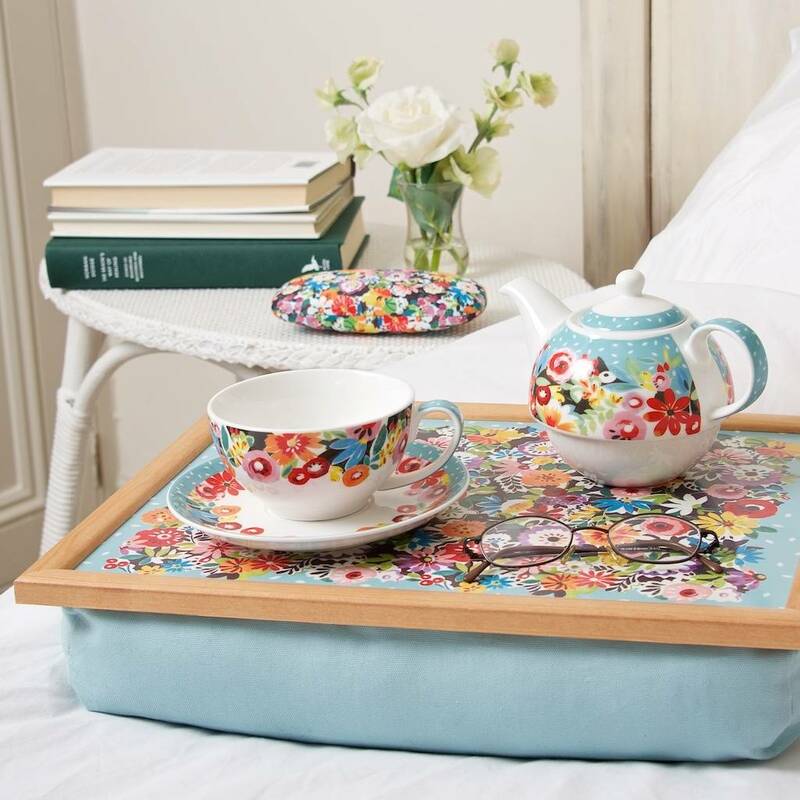 The tray has a heat, stain and scratch resistant wipe clean melamine surface with a pine frame to prevent objects slipping off and a beanbag cushion in co-ordinating fabric which will mould itself comfortably to the contours of your lap and keep everything at just the right height. 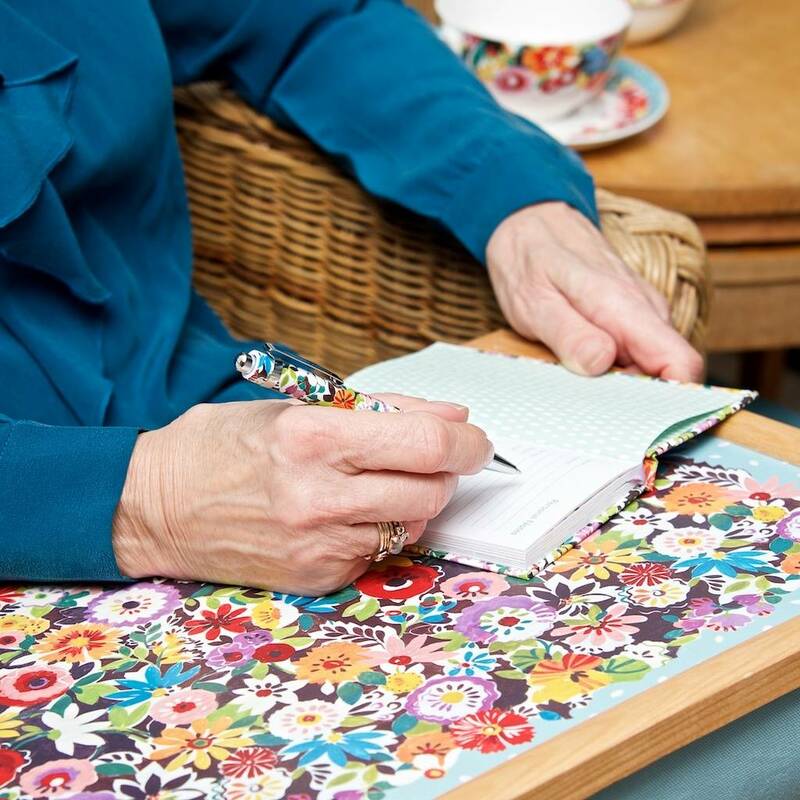 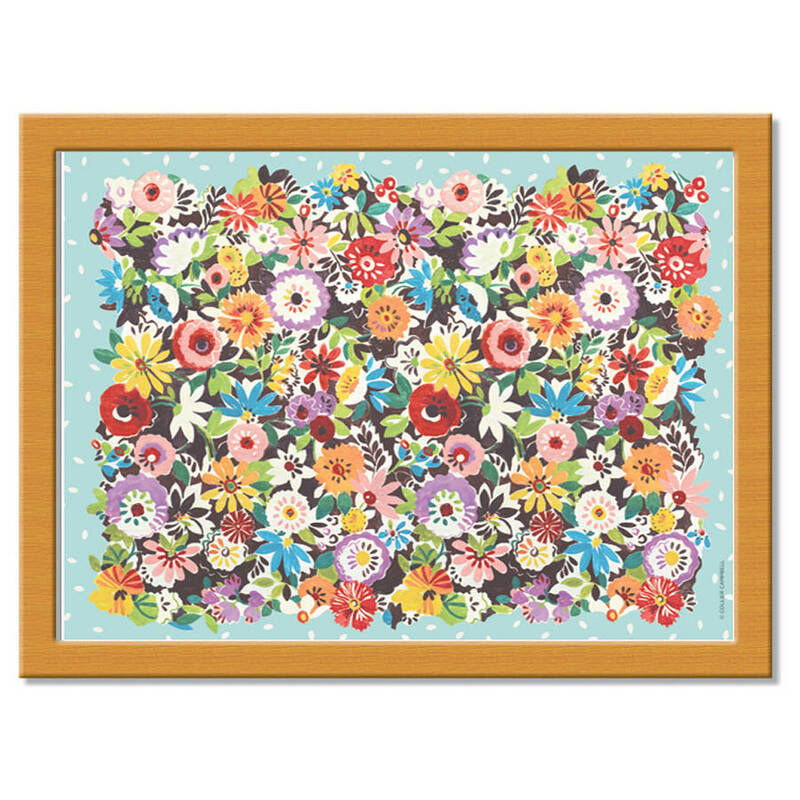 Makes a wonderfully practical and unusual gift on its own or team it with other Flower Patch products for something extra special! This product is dispatched to you by Collier Campbell.